A impeccable dress, custom made, one of a kind (not in production) from the Swedish brand Greta. 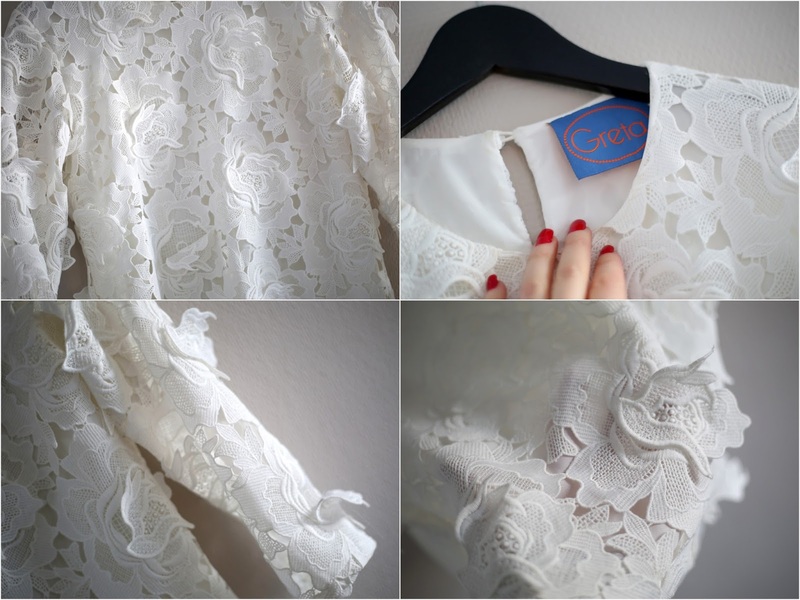 White lace dress, is there anything more magic? Not see through at all, just so beautiful. Worn one time, no traces. Perfect for parties or even to get married in f one wants a more simple dress. On me here. Price: 1700SEK or 190EURO, new two years back 5500SEK and I'll stand for the shipping world wide.